Since the first time I landed in Seattle and saw mount Rainier towering in the distance (still 80 miles away) I was determined to reach the top. Although not a technical climb, this beast is a force to be reckoned with. With an elevation of 14,409 feet and the base near sea level, mount Rainier is the 21'st most prominent mountain on the planet (which means it looks freakin' huge..) The upper half is blanketed with glaciers and crevasses, making this one of the practice mountains for those eyeing Everest. It also means you will need crampons and an ice ax. 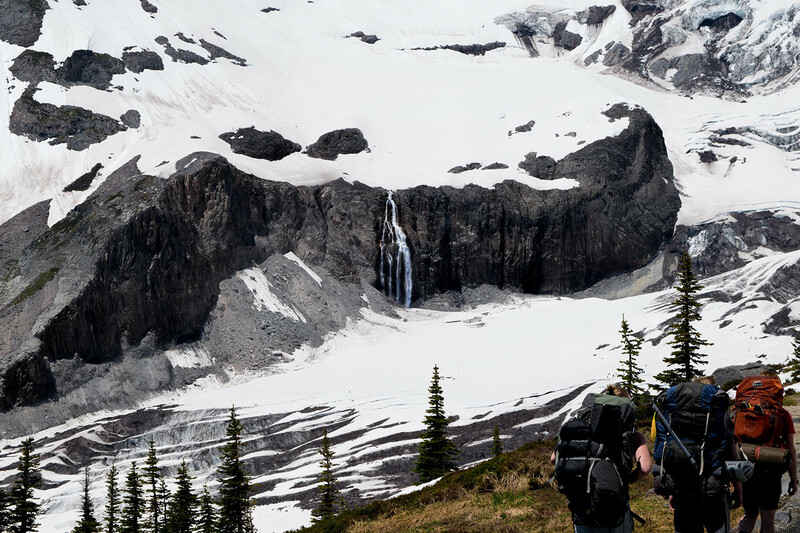 The moderate danger, the glacier maneuvering, and the prominent size of this mountain make mount Rainier's peak it an ambitious objective for any adventurous climber. *Tip - there is no water available anywhere on the mountain. So you either need to bring a ton extra, or boil snow. 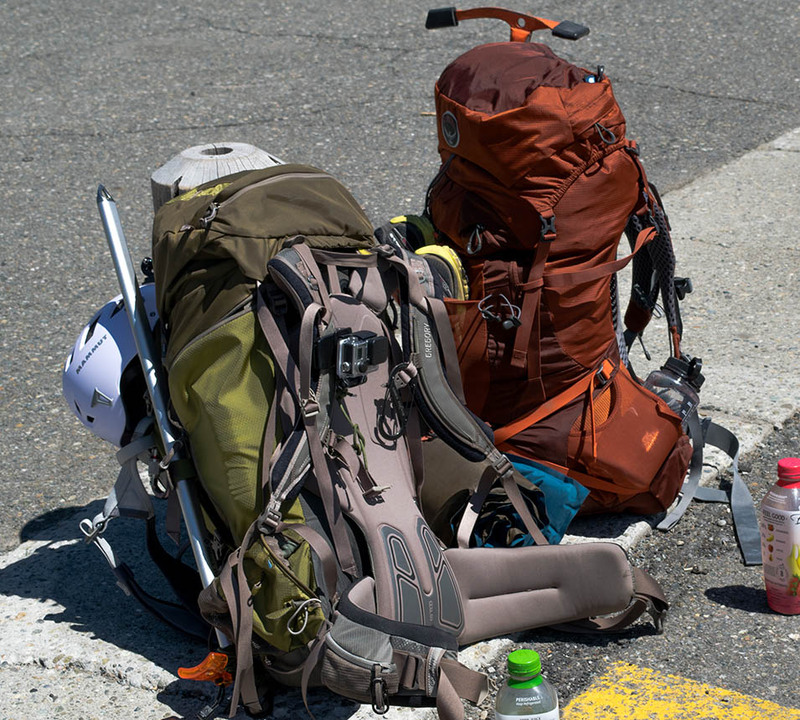 Backpacks end up being pretty heavy and full, but you can reduce them or leave most of your stuff behind at the campsite on summit day/night. Unless you're superman, and trying to set world records, mount Rainier takes two days to climb (we did it in 24 hours, but since we "slept" one night, I'll call it two days.) 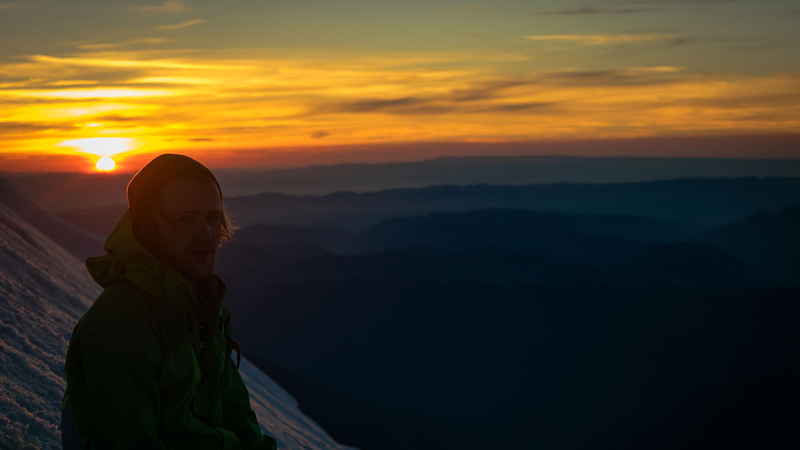 Leave the parking lot at the base of the mountain in the afternoon on the first day, arrive at camp Muir that night, set up your tent, eat food, boil snow, and sleep for a half hour before waking up at night to start summit day. The fist part of the climb is the easier part, more or less a steep climb on rocks and glacier snow, you don't need your crampons yet. It is hot, the sun reflects off the snow, shorts and a T-shirt are necessary. The bottom of the mountain is beautiful and you will understand why this area is a National park. This part of the trek will take somewhere between 4 and 7 hours depending on your pace. When you wake up at 1:00 am to start day two, this is where it starts to get exciting. 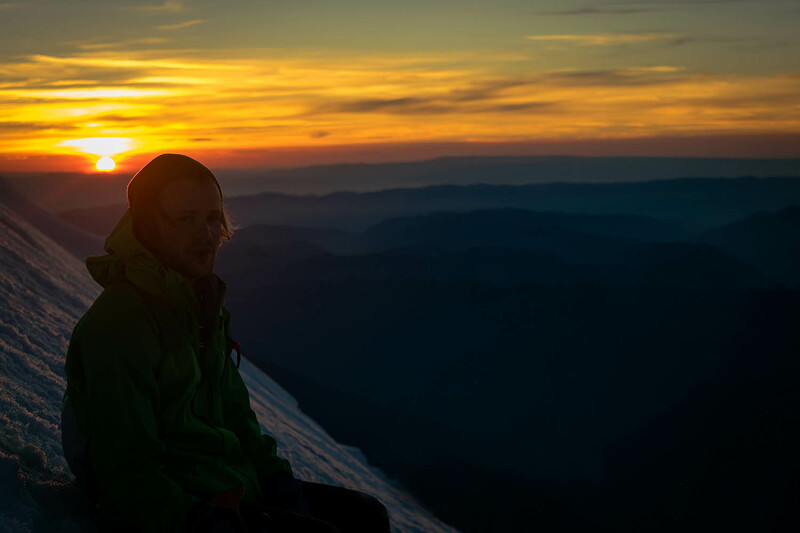 Wake up, fix your headlamp to your helmet, tighten your crampons to your boots, and connect your harness to the rope. I'm far from an expert on rope maneuvering, but my Seattle-native friends showed me what was up. We evenly spaced ourselves about 10 meters apart on a about a 50 meter rope (give or take.) The sky was void of clouds and a full moon was painting the snow silver as the climber's lanterns ahead of us flickered in the distance, imitating from the stars above our heads. 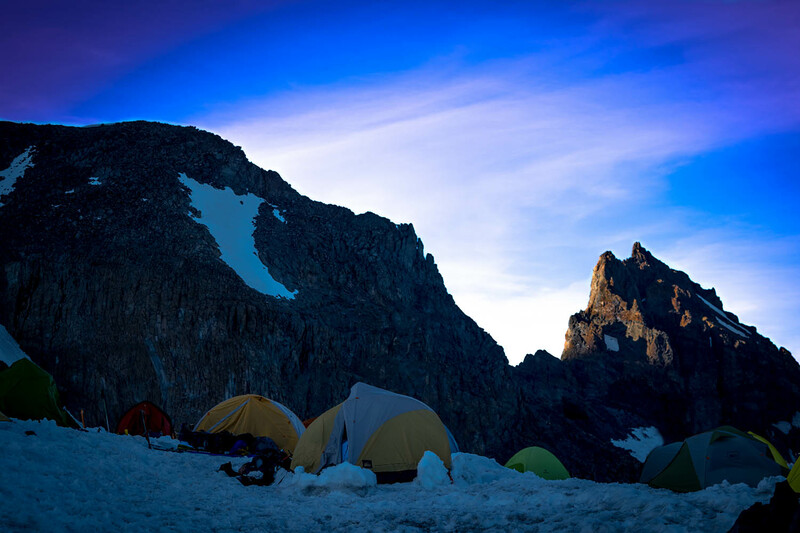 From camp Muir you will cross a valley and then start to ascend a steep rocky cliff. Good footing and a bright headlamp is important as there are steep, deadly drops inches from where you're climbing. This segment is a literal climb, you have to maneuver up and around rocks, in a zig-zag pattern up the face of this cliff. The screeching noise your crampons make as they attempt to gain traction on the rocks is a horrendous sound.. A helmet is important/recommended here because rope teams above you will inadvertently kick rocks down onto the path below (this happened over a dozen times). During our decent, someone kicked off a rock the size of a bowling ball, it fell a hundred feet and impacted direct center of the trail. You gotta stay frosty here. After this steep cliff area comes some cool crevasse crossings that will make you feel like an 'Icefall doctor.' Then there are some major sloped glaciers to cross. A path through the ice and snow is about 10 inches wide, and one slip to the left will take you and your rope crew off a 500 foot cliff. At this point you are starting to get pretty high up, and the altitude is making climbing a little harder. You are also exposed to the wind, and it's getting pretty cold with the sun still below the horizon (probably around 0-10 degrees F with windchill). Eventually the sun comes up, and you can almost see the summit. Willy, cold on the way up. Calvin and Ben, warm on the way down with the sun out. How tall is mount Rainier? 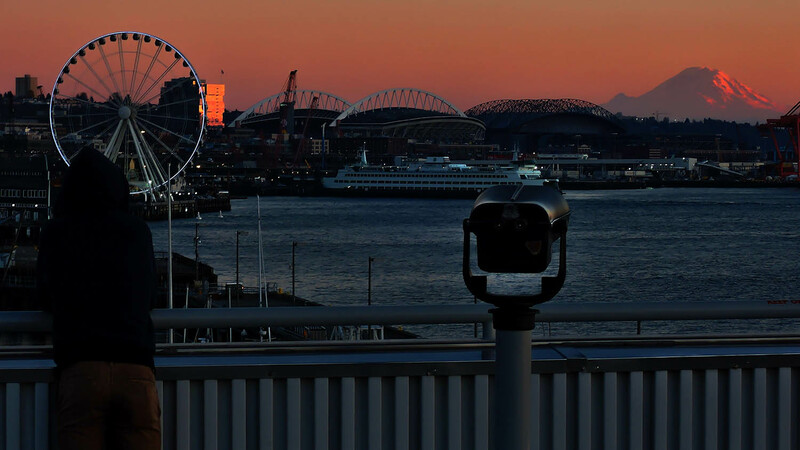 Is it hard to climb mount Rainier? Yeah it's hard, but if you have a determined personality, you can do it. Is climbing mount Rainier dangerous? Is it Annapurna? no, but over 100 people have died while attempting to climb mount Rainier. 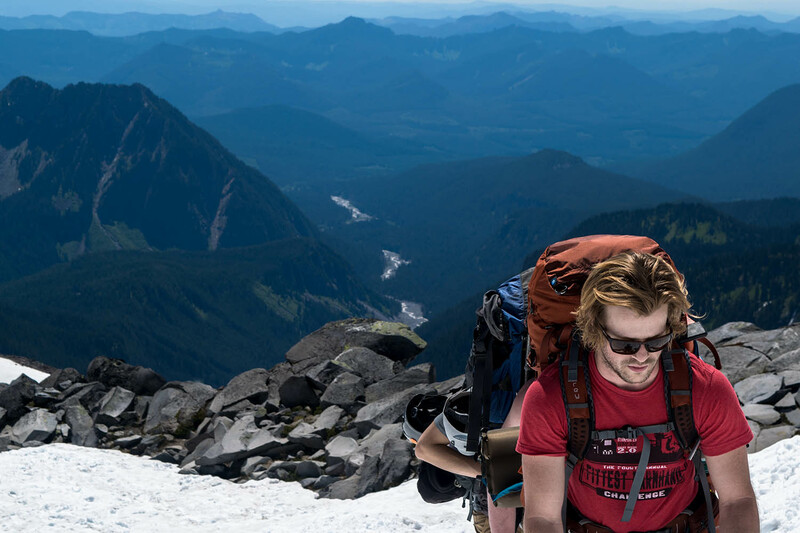 How much does it cost to climb mount Rainier? 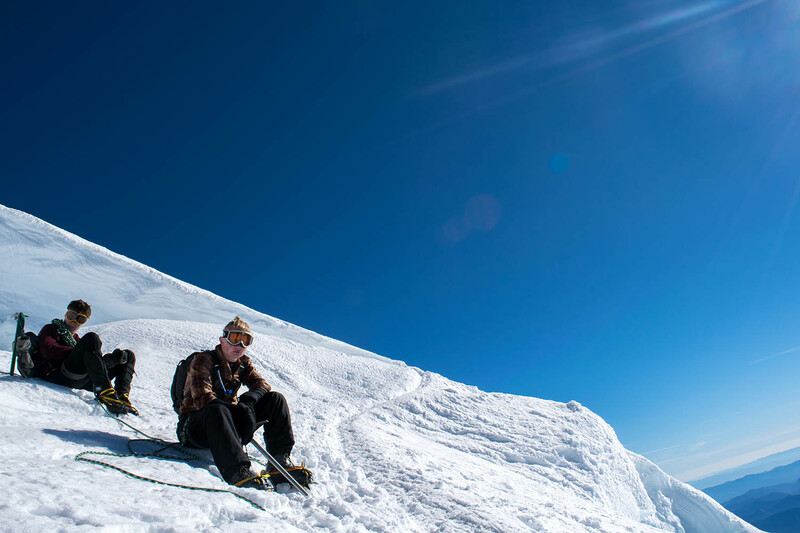 Do you need a permit to climb Mount Rainier? 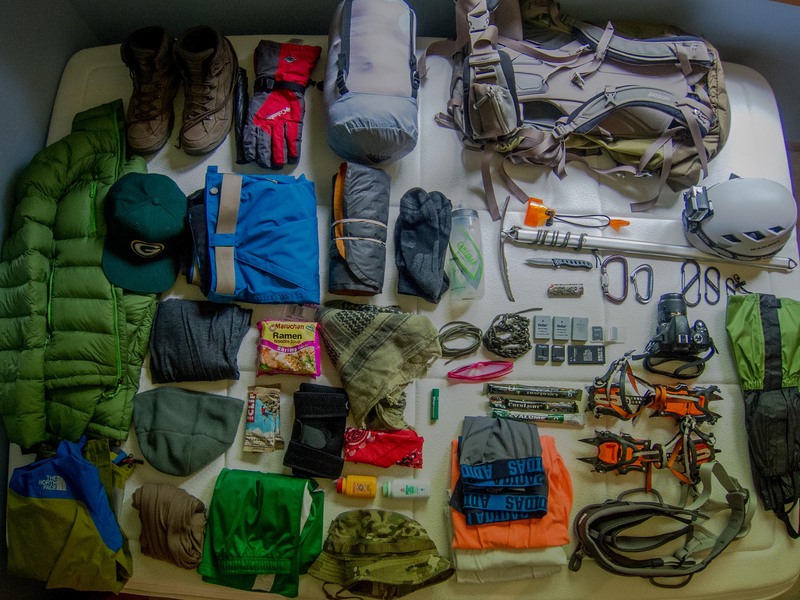 Do I need a permit to camp at mount Rainier, camp Muir? What is the best time of year to climb mount Rainier? I think when we went was the perfect time, all the snow is still on the mountain, and everything was pretty fresh and beautiful. We went June 7th. 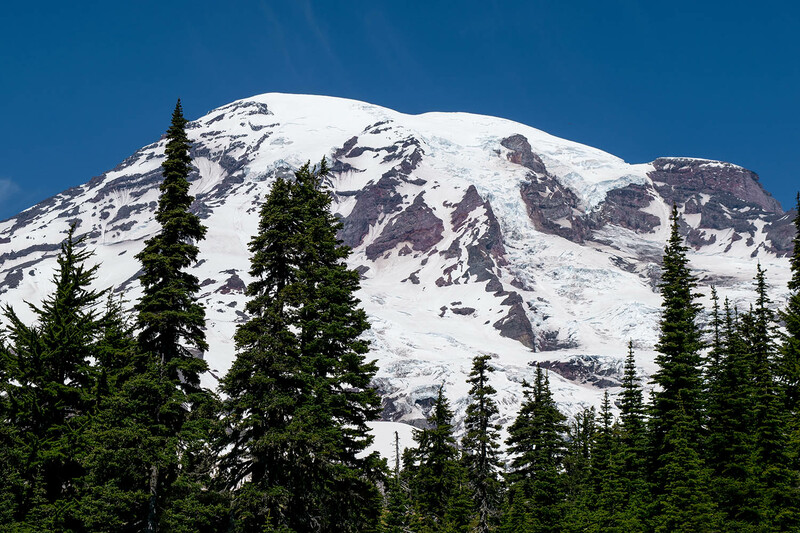 Do you need crampons and an ice ax to climb mount rainier? Yes, for sure you do. They aren't cheap, so maybe get some used ones. What kind of crampons did you use to climb mount Rainier? I used the pivot-joint kind that are made to latch onto flexible hiking boots. Crampons come in a few different styles so make sure to get the kind made for your type of boots. I used these: http://amzn.to/1PUCZIV , notice how there are four different kinds for four different kinds of boots. These worked great but I'm sure a cheaper brand or style would perform similarly. Is mount Rainier a technical climb? Not really, but you will need a rope crew to save you in the event you fall through a bridged crevasse. How many days does it take to climb mount Rainier? For most people, 2 days. We did it in 24 hours. 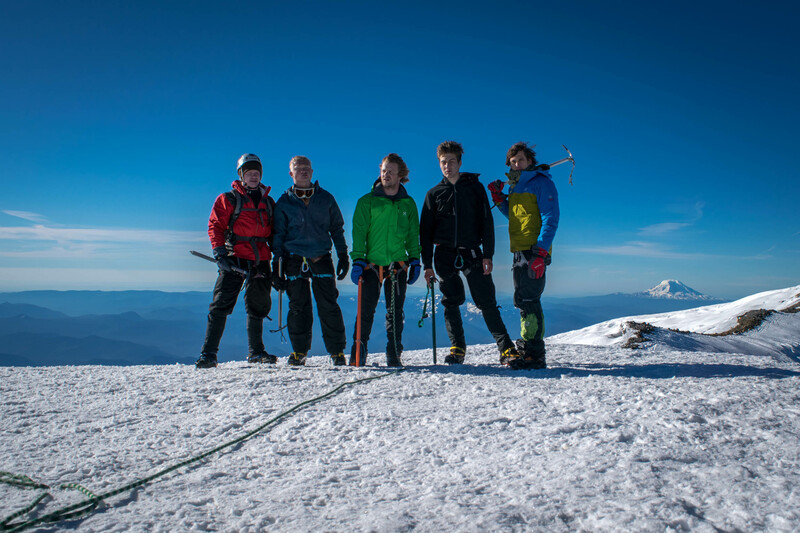 Can you climb Mount Rainier in 1/one day? If you are a superhuman athlete, yeah. If you are a mortal.. no. What size/length ice ax should I get? I'm 6 feet tall, I got the 75 cm ice ax and I wouldn't want anything shorter..
Is there water available on mount Rainier? No, there is no water anywhere unless your are with a guide service who hauls it up. You must either bring a LOT of water with you (too heavy) or boil snow when you get to camp Muir. 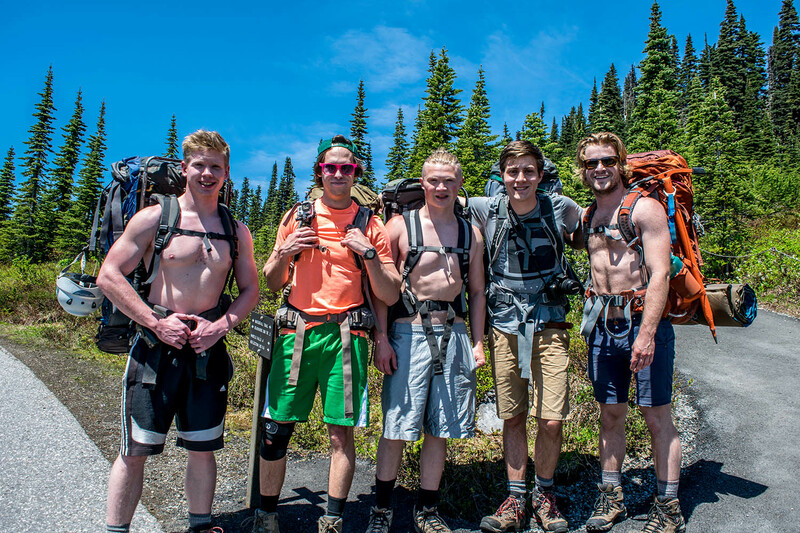 Find some friends to do this with, I was lucky enough to climb mount Rainier with four buddies and I am very thankful for the time we shared. By the time we got to the top, we were all pretty exhausted. I believe I just laid down in the snow and closed my eyes for 10 minutes. Eventually the sun started to warm us which provided some much needed energy. We snagged some badass hero pictures, ate some food, then started across the barren volcanic crater to our descent. The downward journey was fun and fast. The sun reflecting off the snow again was hot, and we did most of the downhill in our T's. After the precarious cliff area, we started slipping and falling our way down the melting glaciers with a skip in our step. You can only understand Rainier's majesty when you see it in person.